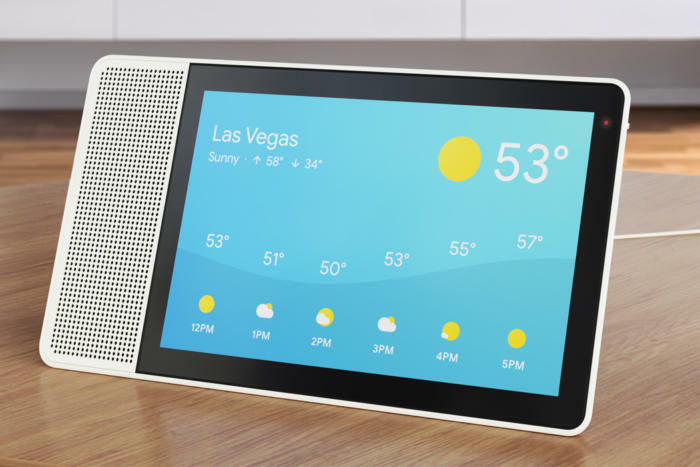 Just announced at CES: Google Assistant smart displays from Lenovo, JBL, LG, and Sony, plus more Assistant-driven smart speakers, and Android Auto support. Lest you doubt that Google is serious about spreading its AI to every nook and cranny of the consumer electronics universe, consider today’s CES 2018 reveal: Google just announced four new “smart displays” from Lenovo, JBL, LG and Sony, plus a bevy of smart speakers and TVs from other partners, almost too numerous to mention. And all these devices come with Google Assistant baked in. This is a shot across the bough of Amazon, whose Alexa digital assistant is appearing in more and more third-party devices, as well. Google also announced that Google Assistant is coming to Android Auto dashboard units, and gave an official name—“Actions”—to all the commands and queries you can voice to Google Assistant. But the big news centers on smart displays, which offer capabilities you won’t find in Google’s own Google Home, Google Home Mini or Google Home Max smart speakers. Check out our demo video of the Lenovo Smart Display below for details. 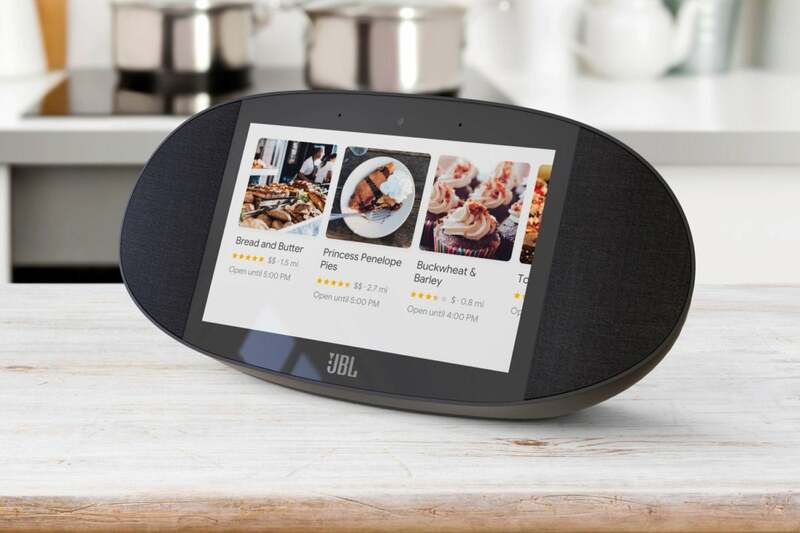 The smart displays are essentially Google Assistant-imbued HD tablets that sit on your desk or kitchen countertop like a fancy digital picture frame. 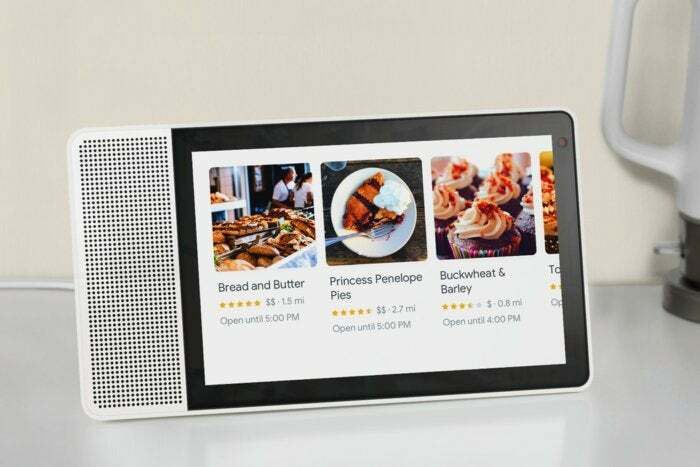 Think Amazon Echo Show (which we love), but with Google Assistant instead of Alexa. The new smart displays range in size from 8 to 10 inches, and come with front-facing cameras and built-in speakers of varying quality. But the star of the show is Google Assistant. On a table-top display, Assistant behaves much like it does on a smart speaker, but with the addition of rich visuals. For example, when you ask Assistant to share what’s on your calendar, you’ll see cards for each appointment, and then from there, you can ask the smart display to show a map of your destination. The Lenovo Smart Display features a single front-facing 10-watt speaker. You can also ask Assistant for recipes, and voila, they’ll show up on the smart display in an easy-to-follow format. And because the display has a voice-driven interface, you don’t necessarily need to touch the screen with messy fingers to advance through the recipe. 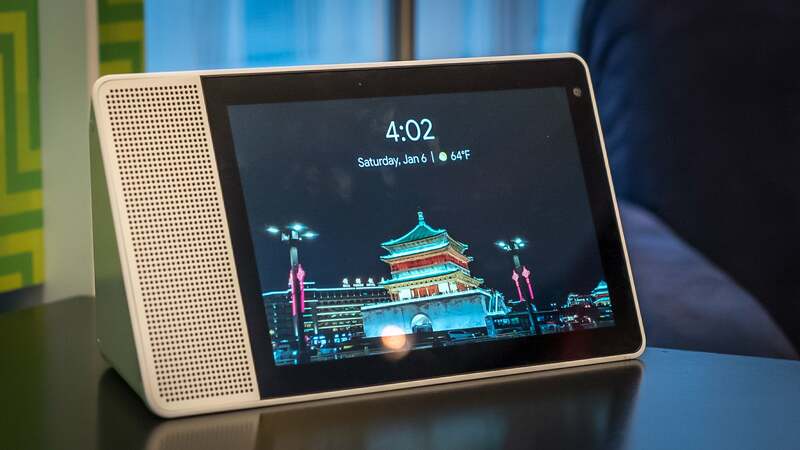 The smart displays will also show images from Google Photos; provide visual interfaces for security cameras and other smart home devices; and serve as video phones for face-to-face chats over Google Duo. The first Google Assistant smart displays should be available this summer. The JBL Link View will have an 8-inch HD display; a 5-megapixel front-facing camera; and two 10-watt front-firing stereo speakers along with a rear-facing passive radiator for low-end thump. The JBL LINK View has an 8-inch screen, 5-megapixel camera, and dual 10-watt speakers along with a passive radiator for deep bass. Lenovo, meanwhile, announced two smart displays: an 8-inch/1280x800 model for $200 and a 10-inch/1920x1200 model for $250. Each comes with a 10-watt full-range speaker; a 5-megapixel camera; the ability to rotate from landscape to portrait orientation; and two color schemes (soft grey or natural bamboo). You can also turn off the camera with a flick of a switch if you have privacy concerns. We’re told the Lenovo Smart Display will ship in July. The JBL display is slated for a summer time frame, and we don’t yet have details on Assistant-driven smart displays from Sony and LG. Google also announced that it’s working with a dizzying array of partners to put Google Assistant on smart speakers, a la its existing Google Home speaker. The Assistant-curious companies include Anker Innovations, Bang & Olufsen, Braven, iHome, JBL, Jensen, LG, Klipsch, Knit Audio, Memorex, RIVA Audio and SōLIS. That’s a big line-up, and we have to assume some of the speakers will boast audio quality that bests Google own branded devices. On the TV front, Google Assistant is coming to a number of existing Android TV products from AirTV, TCL, Skyworth, and Xiaomi, and will be built into new Android TV products from Changhong, Element, Funai, Haier, Hisense and Westinghouse. Even cooler: LG is integrating Google Assistant directly into its full-scale 4K OLED and Super UHD LCD TVs. Google Assistant will also be coming to Android Auto, putting Google’s unique brand of artificial intelligence into car dashboards from more than 40 manufacturers. The upshot is that getting directions, finding gas stations, sending and answering messages, and getting details about your schedule should be easier than ever (though, frankly, your awareness as a driver may suffer). Finally, in its blog post, Google shared that it’s giving an actual name to all the commands and queries that Google Assistant has been trained to respond to. These voice prompts are now called “Actions,” and Google says there are more than a million Actions that work with services from Google itself, and third-party partners. Better yet: Google has a new directory of Actions to help you get more from your Google Assistant devices. So what does it all mean? Well, first it means that Google is pulling out all stops to make Assistant the lingua franca for consumer electronics devices—i.e., the same goal Amazon has for Alexa. Voice control is the future, baby, and Google wants to own it. Second, all these devices are relatively platform neutral, insomuch that they’re not blatantly Android devices. This could help spread the charm of Google services like Photos and Maps to iPhone users. Third, artificial intelligence gets smarter with machine learning. So, as more people use Google Assistant, the AI should get better and better. And that’s a hard benefit that goes well beyond that of making money off retail sales on smart displays and speakers. This story, "Google unleashes 'smart displays' loaded with Google Assistant (take that, Echo Show)" was originally published by PCWorld.